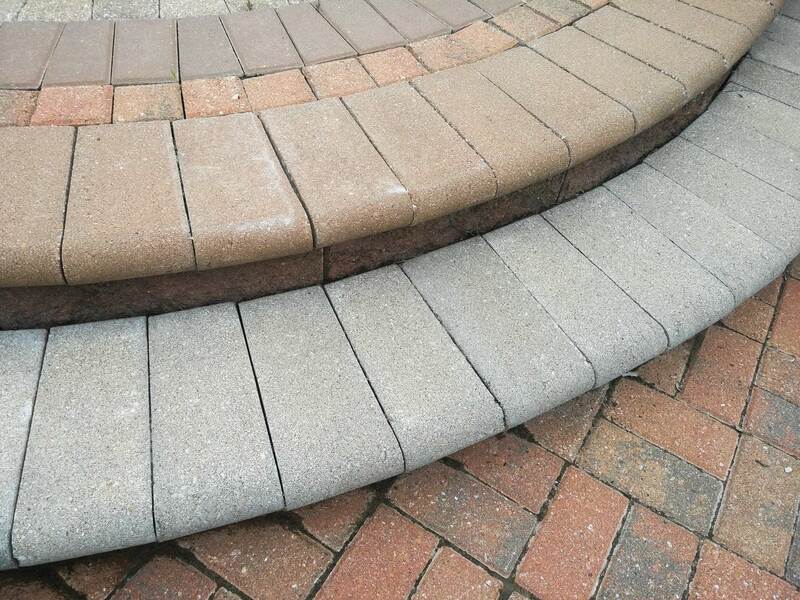 Bullnose coping adds a finished touch to these step treads. These 60mm coping pieces are great to use as row-locks, step treads, and pool coping. Bullnose coping is produced using a “no-slump” concrete mix, made under extreme pressure and high frequency vibrations. Unit pavers will meet or exceed the requirements established in the ASTM C936 (standard specification for interlocking concrete paving units). Requirements of this standard include an average compressive strength of 8,000 psi, average absorption no greater than 5%.